This is good news for those of us interested in the history of technology. A few corrections, though. Hanger One was not specifically a construction facility, though it was a fair copy of the Goodyear Airdock in Akron, Ohio where the Navy’s rigid airships Akron and Macon were built. The airship seen in the undated photograph is the Macon. Not a blimp, it was a 785ft long aerial aircraft carrier constructed by the same methods used to make the Hindenburg, but both faster and safer with special apparatus needed to maintain appropriate bouyancy by condensing water vapor from the exhaust as fuel was consumed so that the very precious helium it used would not have to be released to descend. 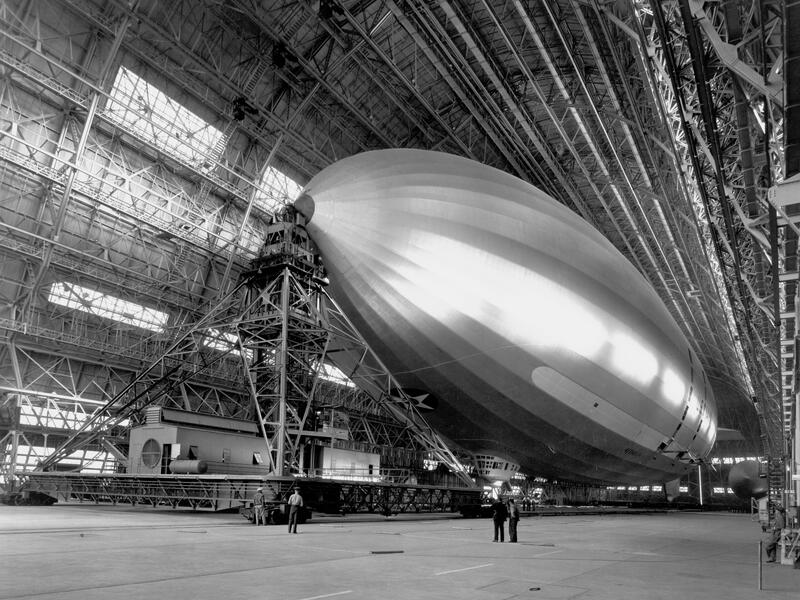 Both airships were very expensive to build and maintain, especially during the depression years. Also they were each lost at sea only a few years after their years long construction. Hanger One could be compared to the Vehicle Assembly Building at Cape Canaveral in that it was specifically built to maintain the largest concievable such vehicles of that era and then was re-purposed for its smaller cousins, the blimps used for coastal patrol during WWII. DWAVE has delivered several quantum computers to customers over the years. There is however ongoing controversy over how really “quantum” the computer operates. “…and the company is working with NASA to test the world’s first quantum computer at Ames too”.